Last weekend I was feeling at loose end (house guests had just left) and a bit adventurous (it happens occasionally) and so ventured into the deep woods behind the tree farm beside our compound. Isn’t there a fairy tale in which the heroine is told not to leave the path? Well, no big bad wolf. But Chowder and I did stumble across twelve grave mounds, some with tombstones. 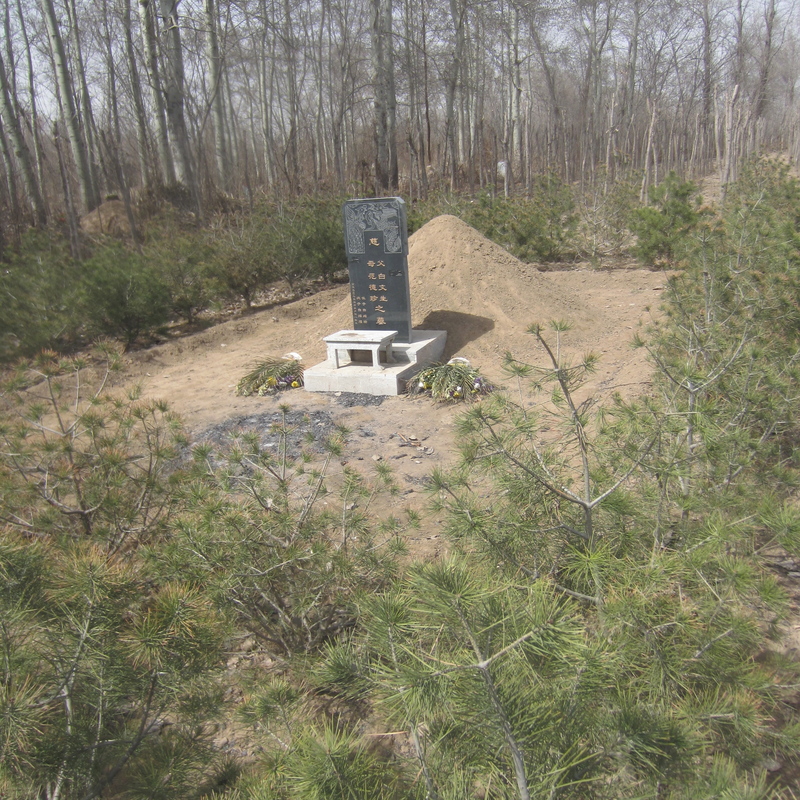 April 4 was tomb-sweeping day. I wondered if any one would come tend them? Decorate them with flowers? Leave food or paper money for their ancestor? 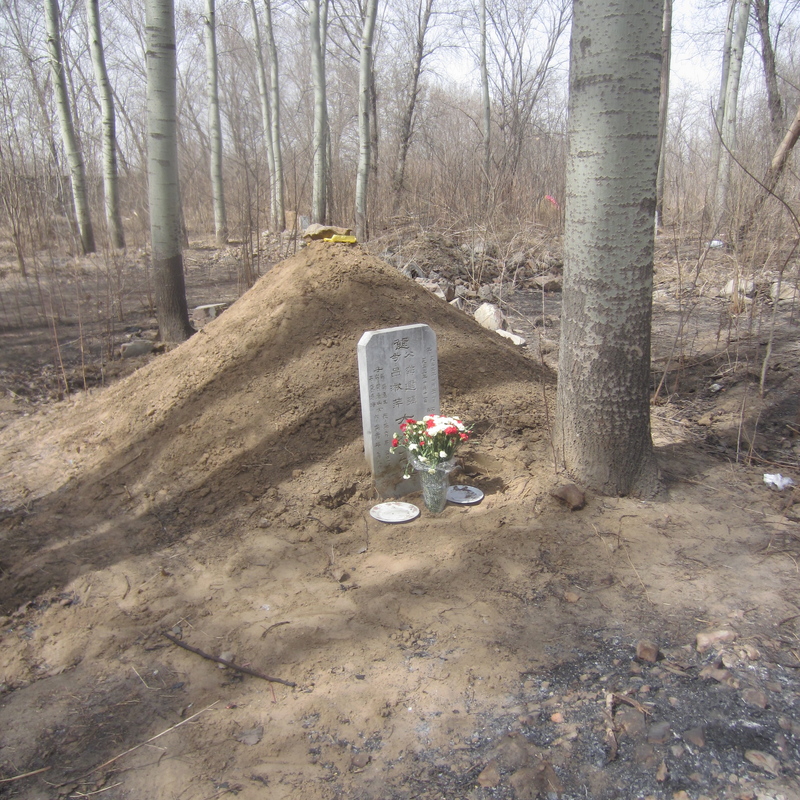 And why were they buried here, in the forest? Was it legal? 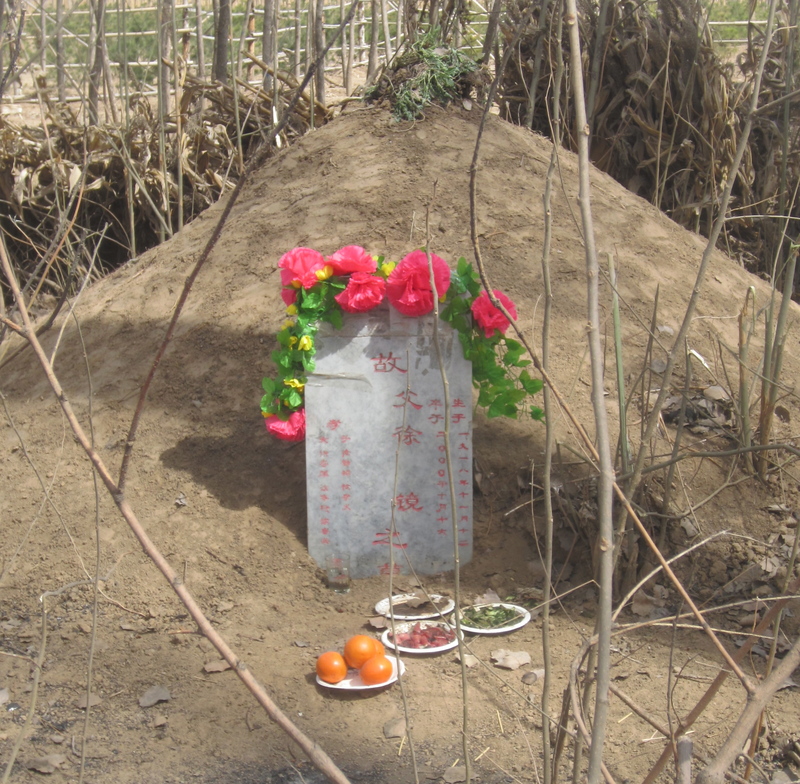 Funerals are an important ritual in China and people here are very upset about how expensive they have become. Cremation is not part of Chinese tradition although the government is now encouraging it. They are also trying to regulate to the funeral industry but with out much success. Plots cost about 40% more per square meter than average housing prices. Plots with good feng shui can go for way way more! People complain only the rich can afford to die. Tomb Sweeping Day is one of China’s newer holidays. It only became official in 2008 though it has always been important for families to honour their ancestors. Taking care of one’s forbearer’s tomb was an important duty of the males in a family (another reason it was so desirable to have sons!). However during the Maoist times ancestor worship was discouraged… too Confucian and a conflict with loyalty to the party! Times have changed and the powers that be now want to reestablish links with China’s glorious past. Early April is the perfect time for this holiday. The weather has changed, the ground has thawed and grass is just starting to grow… any earlier and it would be too cold to take care of the tombs, any later and pulling up the growth would damage the earth mound. Whole families go the tomb and leave offerings for the departed. It has always been that food was left and money (fake) burned so the dead would have things they needed in the afterlife. This has been taken to a new extreme. People now burn paper fridges, TVs, washing machines and cars. They also burn cut outs of beautiful women (because every man needs a mistress) and iPads (when asked if some 15th century ancestor would know what to do with an iPhone the reply was that Steve Jobs is now there to teach him how to use it!). It is not uncommon to leave lit cigarettes and pour liquor on the tomb. It seems vices still exist in heaven. One little problem in setting the holiday at this time of year, at least in the north, is that it is still very dry…. All these offerings been set alight has led to a problem with forest fires! This year police are being sent to larger cemeteries, making people burn things in fireplaces rather than in from of the tomb. It will be interesting to hear the fallout! As for my little cemetery, according to the writing on the tombstones, the people were buried in the last few years. They are here illegally; the families may not have been able to afford a legitimate cemetery. The risk is they will be dug up to make way for development, probably another compound. The deceased were likely born in one of the local villages. 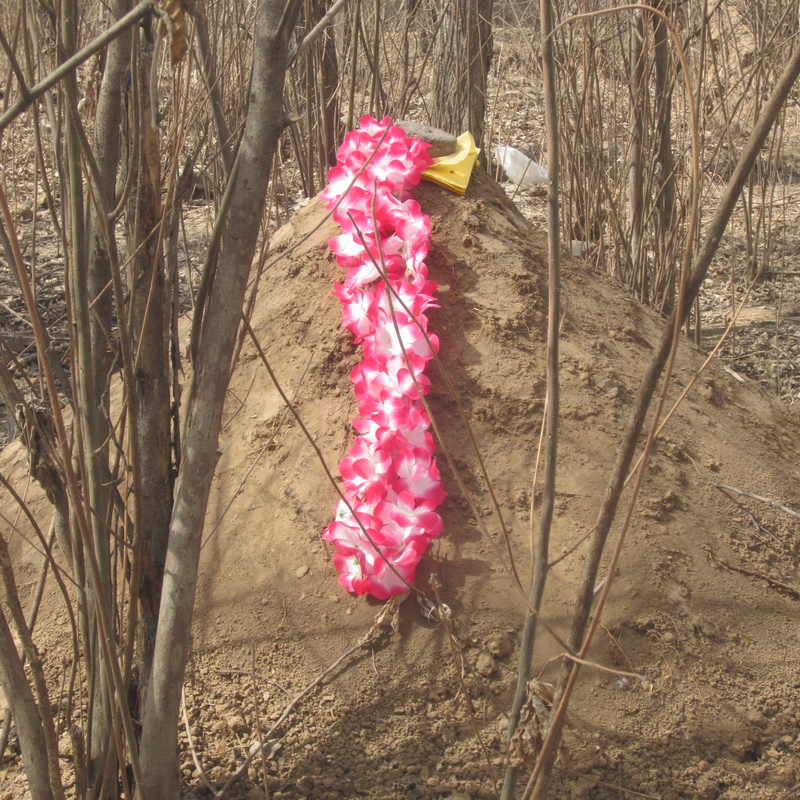 It is important to bring bodies back to where the person came from. There are tons of zombie movies about getting people back to their hometowns. I watched one with my teacher (who thought I was crazy and very brave to explore the cemetery, he also thought it was incredibly creepy I took photos!). Zombies in China hop because their muscles no longer work for walking… he thought it was scary, I thought it was funny. Seems fear is cultural. When Chowder and I went back to check on our find, I was delighted to see that relatives had come to visit. The plots had been decorated with flowers and food (Chowder is cross with me for not letting him eat all the wonderful treats! ), and there were piles of fresh ashes everywhere. 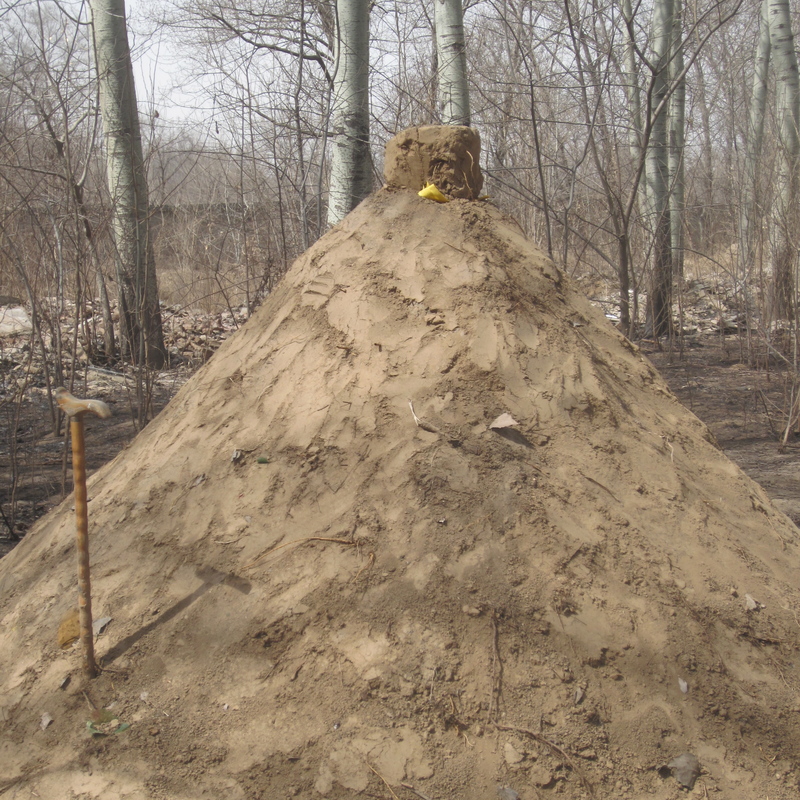 By June the woods will be so overgrown we probably won’t be able to find the tombs again…. seems kind of enchanted to me!